Discipling women through the study of God's Word and small-group interaction. Virtue groups are designed to equip women with God’s Word so they can make a godly impact in their homes, workplaces, and schools. Through weekly teachings, lessons, and small groups, you'll grow in the knowledge of the Lord, experience fellowship with likeminded believers, and be equipped to influence your world for Jesus Christ. Groups watch a video message and then have a time of discussion, reviewing their insights from both the message and written studies. For this midweek study we will meet at the nearby Apostolic Assembly Church located at 2904 Mac Donald St, Oceanside. Starts Thursday, October 4, 2018. 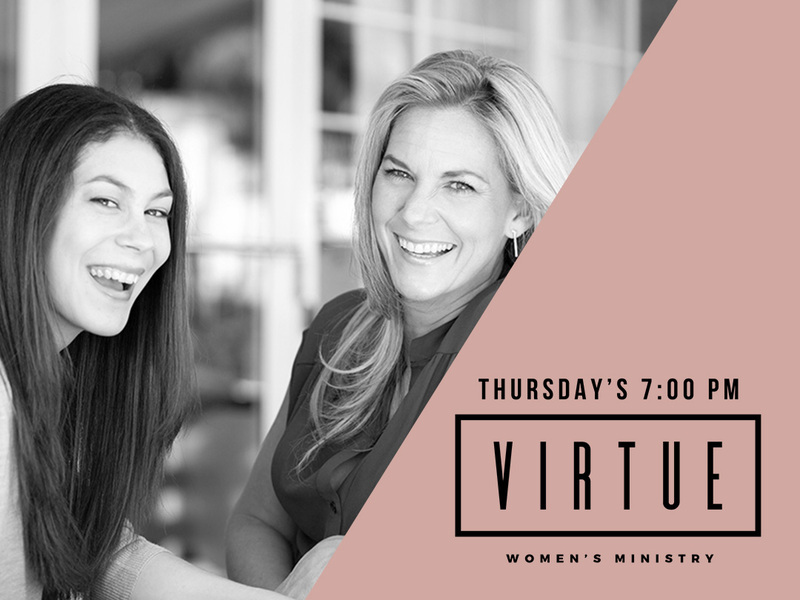 Please complete this form to register for the Virtue Women’s Bible Study.